How could the greatest musical duo of all time never record another album together as a result of one song? Not just any song. But Bridge Over Troubled Water. Arguably one of the greatest songs of all time? Would these friends stop recording music together at the peak of their success just because of that. Surely there is more to it. Whatever the case it is one of the biggest losses music has ever had and had they continued for just a few more years then they might have been even bigger legends then they are now. But since 1970 there has been no other Simon & Garfunkel album. They had only been in the public eye for five years once Sounds of Silence became an underground hit and then a worldwide hit in 1965. The fact that the two of them had already split when the song started to pop up in various charts around the world shows that though they had known each other since 1953 at Elementary School, their relationship was fractuous. They had recorded their first album Wednesday Morning, 3AM in 1964 but as it flopped, Simon moved to London to record his own album and to tour it around the U.K. Maybe he thought London was the place to be given the global craze that was The Beatles and the other groups born out of it. When they reformed they grew bigger and better with Sounds of Silence and Parsely, Sage, Rosemary and Thyme which had sculpted the Folk-Rock genre of which Simon & Garfunkel remain the best. Then the sound track for The Graduate film and the 1968 album Bookends had put them right up there with all the legendary acts of the time and surely they would get only bigger as they started to adapt their sound. Bridge Over Troubled Water as an album is also one of the greatest of all time. It was a masterclass in production, recording methods, vocal performance and in being way too ambitious and pulling it off. But from the off there were issues with making the album. Garfunkel was filming for the film ‘Catch-22’ but the filming process was becoming severely long and drawn out. He explained that they would record while Simon was writing and that once they were fininshed recording then he would have three or four more songs for them to record. But in this case “rather than wait for Paul to write the next bunch of songs, I went off and did this movie.” A movie which Simon was given a small role in until it was written out due to too many characters clogging up the film. This is perhaps the trigger in the strains between the two. With the song ‘The Only Living Boy in New York’ which is one the album, Simon talks of how it was about him feeling isolated when Garfunkel flew down to Mexico for a acting audition. Surely this was what he was feeling at that point and as he didn’t write while Art was filming, it must have been a review of how he felt at that time too. The song too, is a masterful recording. With both Paul and Art screaming and shouting in harmony inside an echo chamber to replicate eight voices in a lapping wave of sound. Even the random percussion inspiration they had at a house Paul rented on Blue Way Jay in L.A spawned the catchy and happy sounding ‘Cecilia’. They lyrics too were a little humourous. The Harmonious ballad that is ‘The Boxer’ was recorded in three different locations. Apart from the studio they recorded in Nashville and in a chapel at Columbia University and it took them over 100 hours to get the song down which was one of the first to be recorded on a 16-track. It needed two 8-track recorders to be perfectly synchronized to create a clear sound and the whole recording process must have been a real stressful and tedious affair. Even moving the Beatles into Twickenham film studios was enough to unsettle them so it’s hard to imagine how distrupted the whole process of making the album must have been with that and the distruption from Garfunkel’s filming. An additional issue with the album was a certain number songs they were unsure about putting on the track-listing of which there was disagreement. 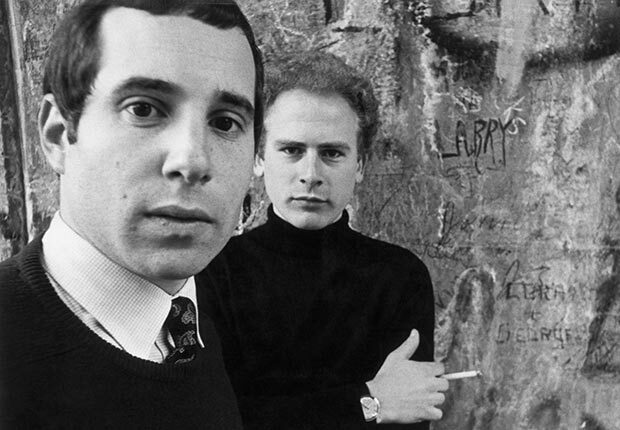 Simon wanted a song titled ‘Cuba Si, Nixon No’ but Garfunkel didn’t want to put it on the album. He instead wanted to put on a song called ‘Feuilles-O’ which Simon didn’t want and therefore only eleven songs made it to the album. The fact a positive comprimise was not reached showed the frustrations between the two and neither will have been happy about losing one of their preferred songs off the album. Bridge Over Troubled Water is the song that is said to have broke Simon & Garfunkel’s resolve and to some extent it is responsible for that. Initially Garfunkel declined Simon’s invitation to sing lead vocal and suggested Simon sing falsetto. This is something rarely mentioned in stories about the duo’s split. Paul Simon knew when he wrote it that it was Art’s song and not his. Though the opposite is often the argument used as an excuse. Garfunkel eventually relented and of course justified Simon’s choice as having Garfunkel on lead vocal. The problem now would be people’s interpretation and lack of understanding of the song. Garfunkel’s delivery was so great and powerful and the whole composition of the song was so grand to which Simon likened it to ‘Let it Be’ in terms of it’s production, that people thought Garfunkel wrote the lyrics of the song too. That is perhaps what Simon was so frustrated about but in the same way he was justified in his choice. That will have been a contributing factor of their demise but it would seem that the whole process of recording the album was what largely responsible for that. Primarily it was Garfunkel’s pursuit of acting and other interests coupled with Simon’s interest in other forms of music. But what is for certain is that it was more than just that song but a development of both Simon & Garfunkel in opposite directions and it’s also certain that they were never the same as individual artists despite the success they had as solo performers. They always performed better together and the fact that not another album was made by them despite several reunions is the saddest thing. Gathering an audience of over 500,000 at their reunion show in Central Park in New York in 1981 and over 600,000 at their 2004 show at the coloseeum in Rome shows the scale of their impact in those few years in the late 60’s and that they were too big to be brought down by one song. It was more complex than that.